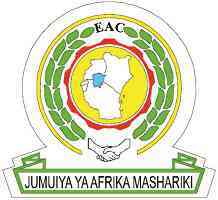 The East African Community is a regional intergovernmental organization comprising the Republic of Burundi, the Republic of Kenya, the Republic of Rwanda, the United Republic of Tanzania, Republic of Uganda, and the Republic of South Sudan, with its Headquarters in Arusha, Tanzania. This is an exciting opportunity for highly motivated and result-driven professionals who are citizens of the United Republic of Tanzania to apply for the following position tenable at East African Community-Secretariat. To provide efficient office support services and run errands for the East African Competition Authority. An Advanced Level Certificate (Secondary Education) and about five years’ experience in a similar position in a busy organization. Any other training higher than secondary school education will be an added advantage. Good interpersonal skills, public relations, customer care skills, basic computer knowledge and able to communicate in English. Only applicants from the United Republic of Tanzania are eligible to apply for the position of Office Assistant. The above position is tenable for a contract of six (6) months. Applications should be submitted to the address below not later than 8th April, 2019. Please note that EAC does not require candidates to pay money for the recruitment process. The only source of information for the above positions is on the link: www.eac.int. The EAC declines the responsibility for the information gotten from other websites. All invitations for interviews will be done in writing.